Fortnite isn’t a game: it’s a phenomenon. Like “Back To The Future,” “The Simpsons,” and Pokemon, it’s transcended media and become a cultural icon. I can’t help but wonder how many of its 200 million registered players know anything about the game that came before it: Unreal Tournament (UT). The creator of Fortnite, Epic Games, confirmed in an interview with Variety that it would no longer develop the venerable shooter. And, for those of us who cut our FPS teeth on UT, that’s a damn shame. Unreal Tournament was one of the first shooters to take competitive gamers seriously. Instead of focusing on labyrinthian design and increasingly complex shooting lanes, it took the FPS into the arena and sped it up. And, most importantly, it tapped into a PvP vein that seemed endless. It follows that the company responsible for the Unreal game engine would make UT its greatest work. And it was welcome news when, in 2014, it was announced that Epic would overhaul the game and develop it open source. The last update was in 2017. But capture the flag and team deathmatch aren’t the belles of the ball they used to be. 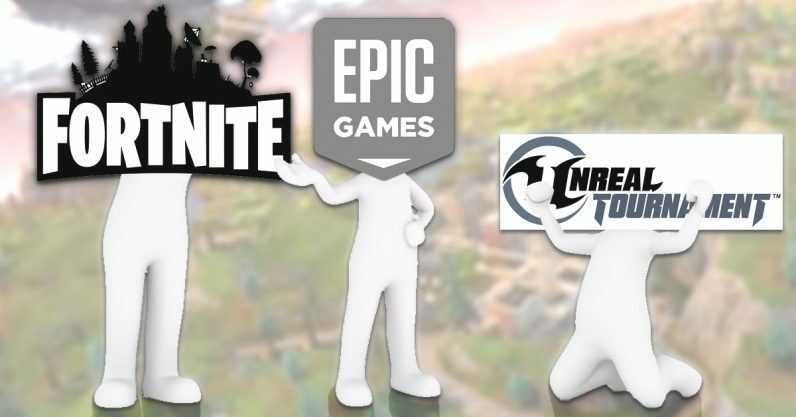 All the cool kids are off playing Battle Royale games and Fortnite is the leader of the pack. That means the developers of UT had a tough choice to make: continue making yesterday’s news, or tart up UT to look like Fortnite. Neither choice seems to convey the respect and dignity UT deserves. Still, watching it die as Fortnite rises to the top is a bit frown-inducing. Don’t get me wrong, Fortnite is a great game. But it’s safe to say that even Epic – who showed off the game at SIGGRAPH 2017 as a glorified demo for Unreal Engine 4 – didn’t know it was going to become the all-consuming monster that it currently is. Those of us who still care may take some solace in the knowledge that Epic isn’t officially canceling or shuttering UT. It’s not dead. The company simply doesn’t have the time or developer-power work on both it and Fortnite. And 200 million of you have spoken. Unreal Tournament remains available in the store but isn’t actively developed. We’ve recently worked with GOG on making classic Epic Games titles available and we’re planning to bring more of them to the store in their original glory. Fortnite may be a worthy successor, but UT lives on in the hearts and minds of old gamers – and on the Epic Games website for now.